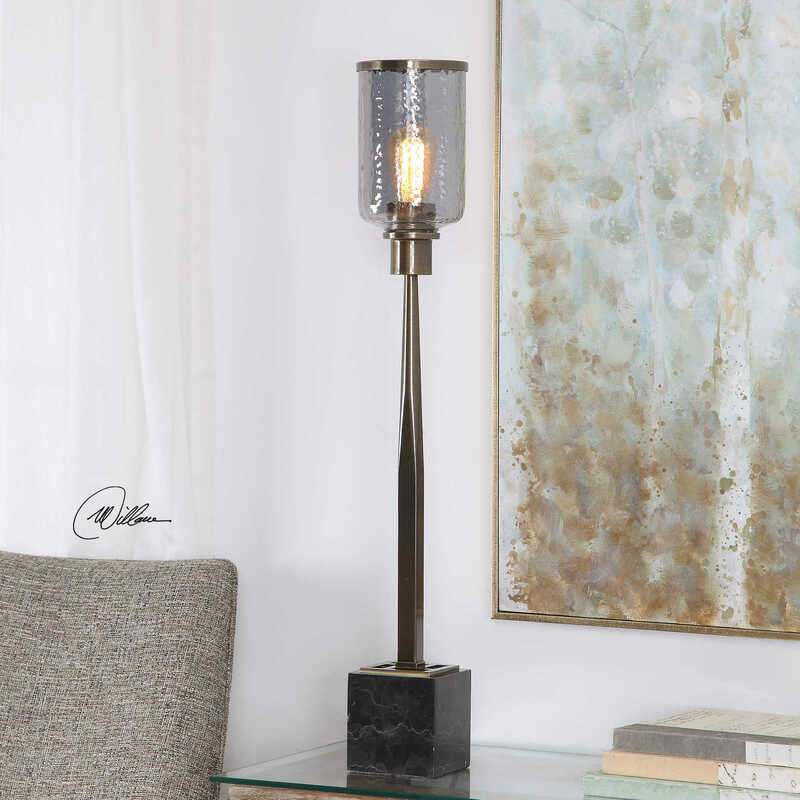 Contemporary styling is used to create this accent lamp design. 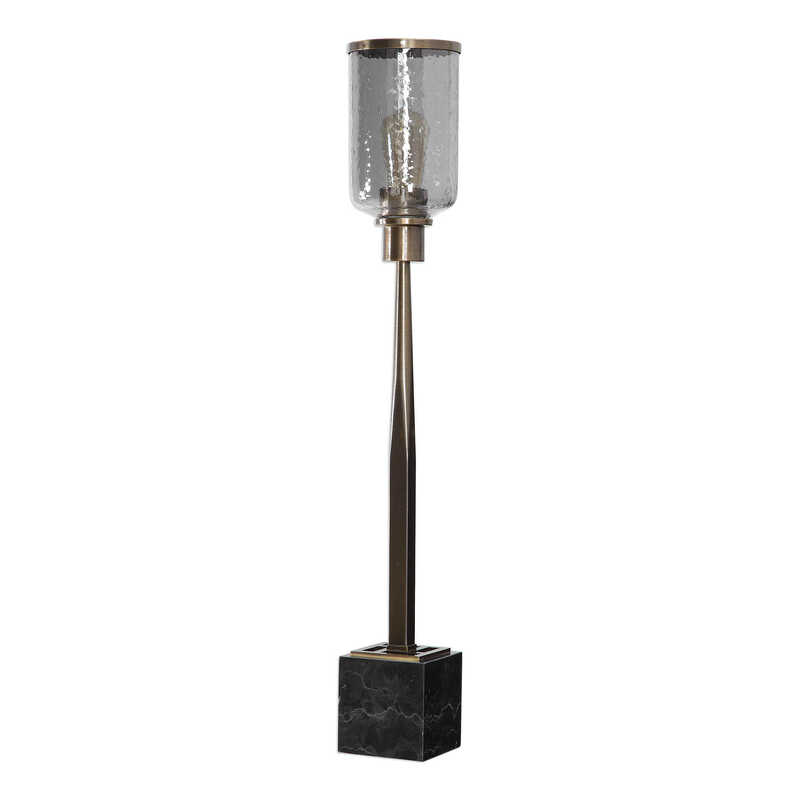 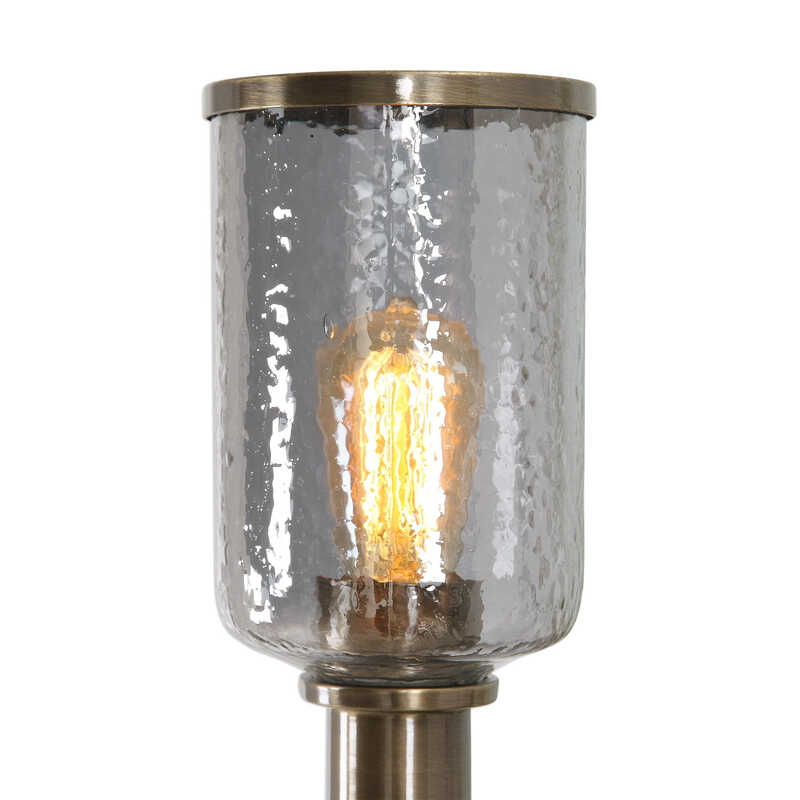 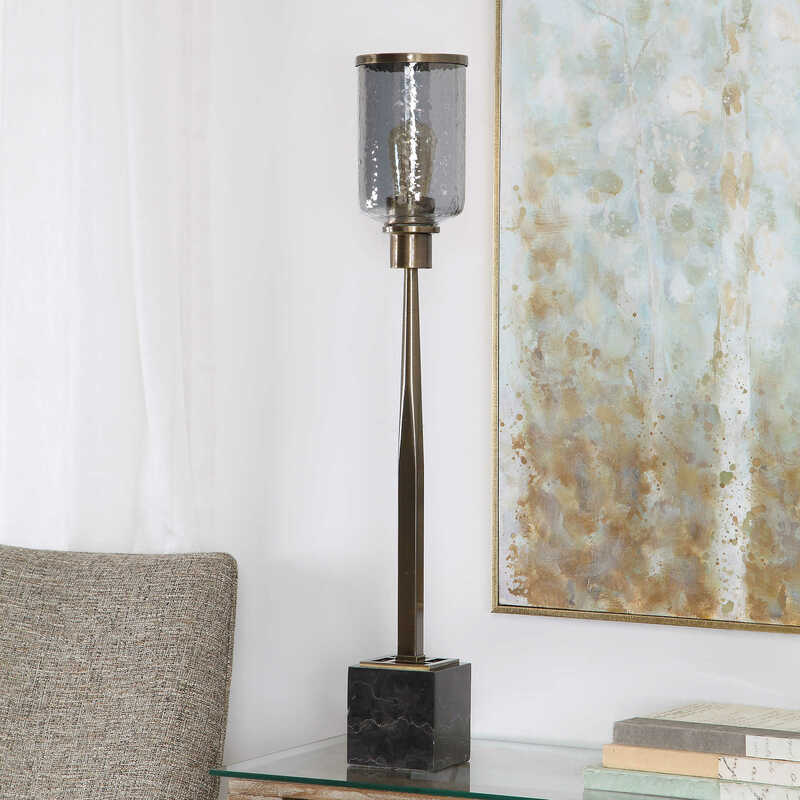 A hammered texture, smoked gray glass hurricane sits atop a plated antique brass base that features a unique shape that's square at the bottom and subtly transforms to a tapered round at the top. 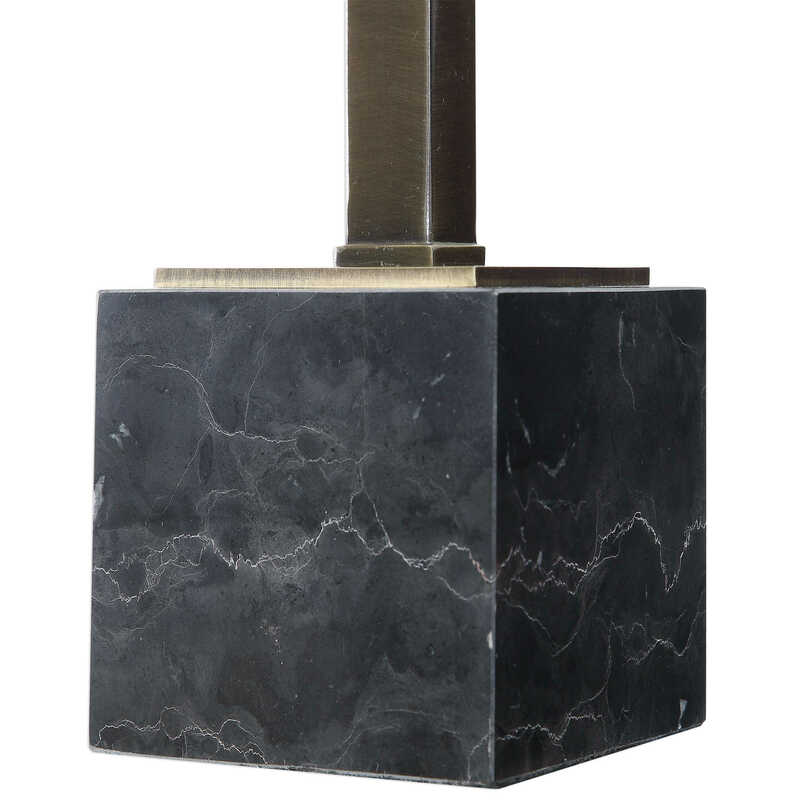 A thick black marble foot completes this design.